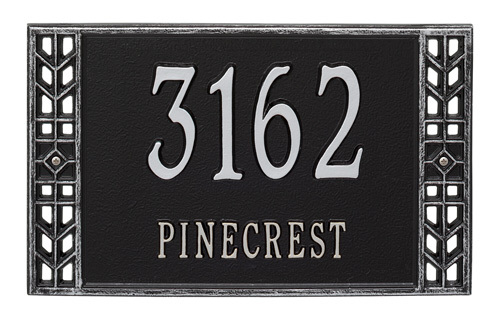 MailboxWorks carries numerous square and rectangle cast aluminum address plaques for sale including a rectangular lighted address plaque by top manufacturers like Whitehall, Stone Mill, and QualArc. 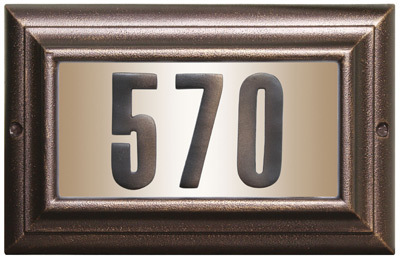 Whitehall rectangle address plaques include the Hartford, Egg and Dart, Roanoke, Saint Pierre, Dresden, Springfield, and Golf Green, among others. 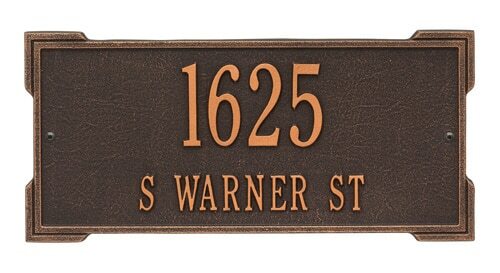 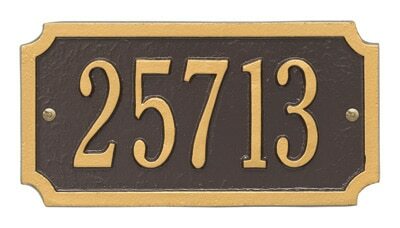 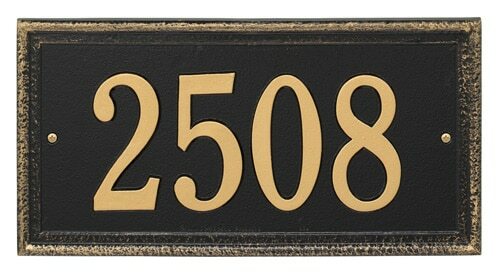 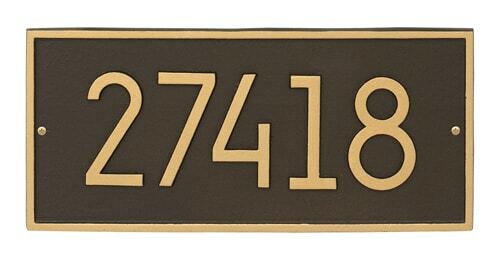 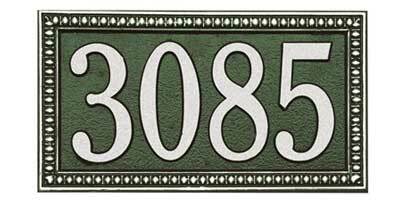 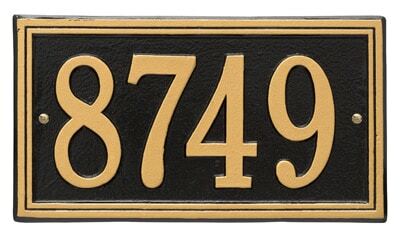 Other simple Whitehall rectangle address plaque options include a single border, double border, or beaded border. 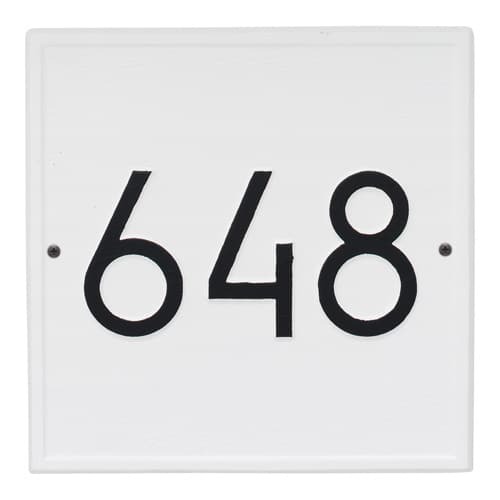 Depending on your requirements there are several sizes of Whitehall square address plaques that contain just house numbers or house numbers with street name. 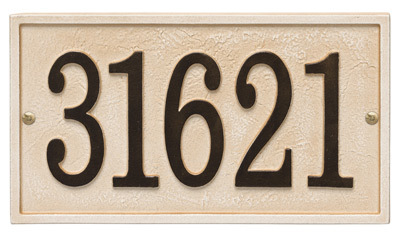 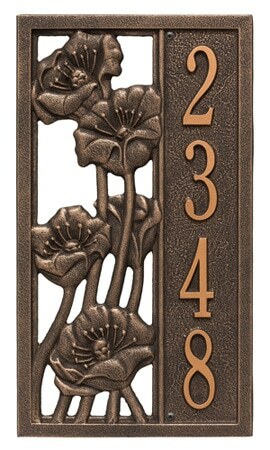 For a truly custom look, check out Stone Mill address plaques that are made from newly quarried slate from the US and hand cut to size in various shapes including vertical and horizontal rectangle (with house numbers only) or personalized rectangle address plaques with a variety of different designs and lettering. 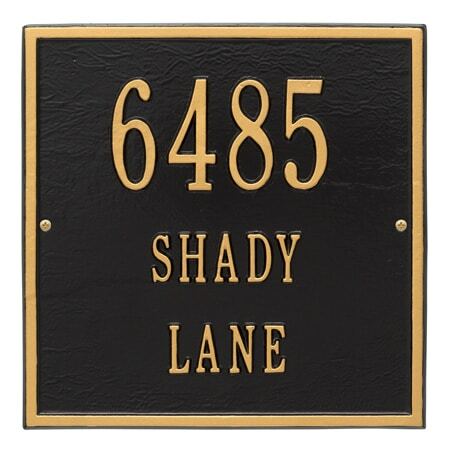 If you are looking for something completely unique with a high end appearance check out granite QualArc address plaques that come in seven different colors. 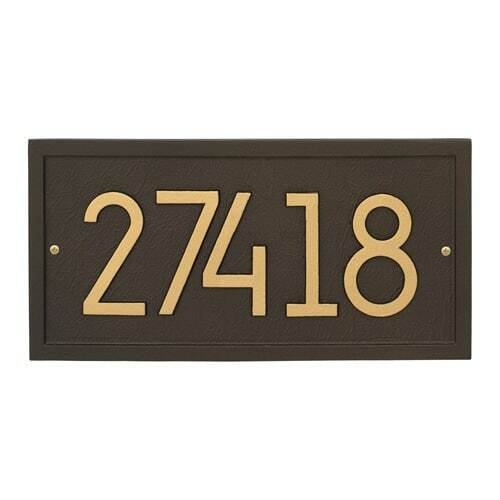 Most lawn and address plaques come with the mounting hardware you’ll need plus the option to add a solar lamp that automatically comes on at dusk to illuminate the address plaque. 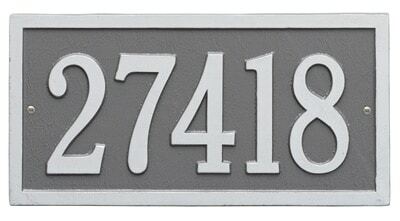 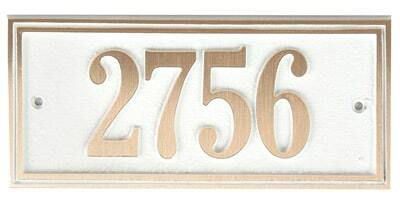 Ask us about personalizing your rectangle or square address plaque of choice. 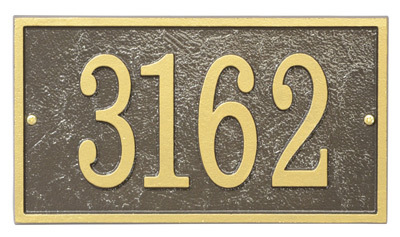 For assistance in ordering any of MailboxWorks’ address plaques please use our “online chat” option or call MailboxWorks Toll Free at 1-866-717-4943.